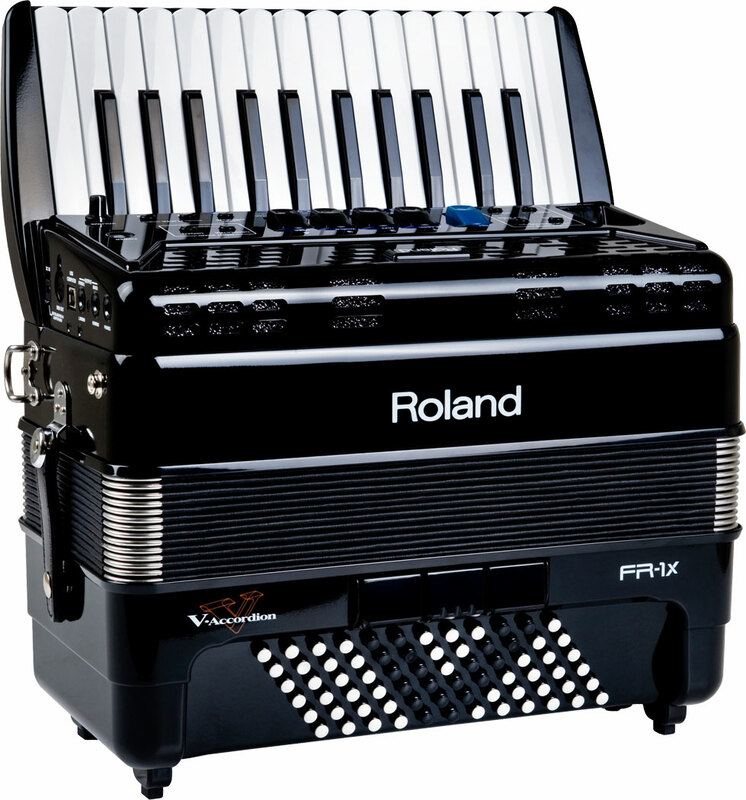 The Roland FR-1X 72 Bass Compact V-Accordion is a lightweight and compact digital accordion from the highly respected Japanese electronics giant Roland. 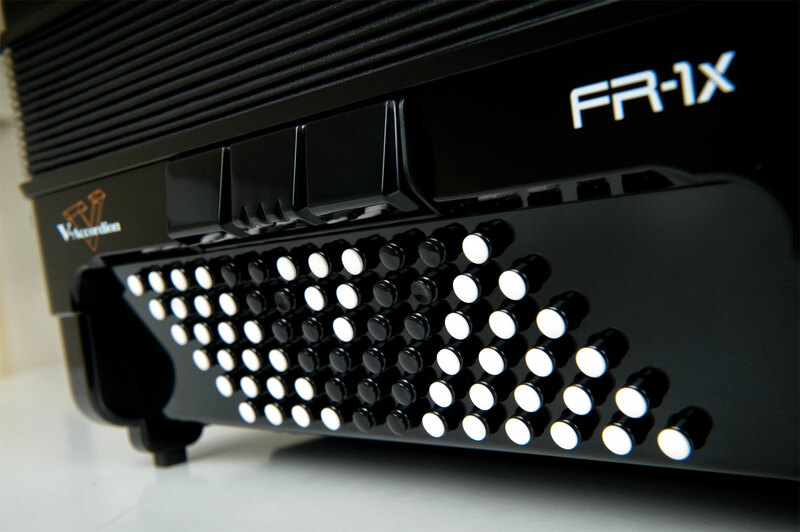 This innovative accordion features 72 bass buttons and 26 treble keys in an extremely compact shell, making it ideal for smaller players or anybody looking for a more portable instrument. 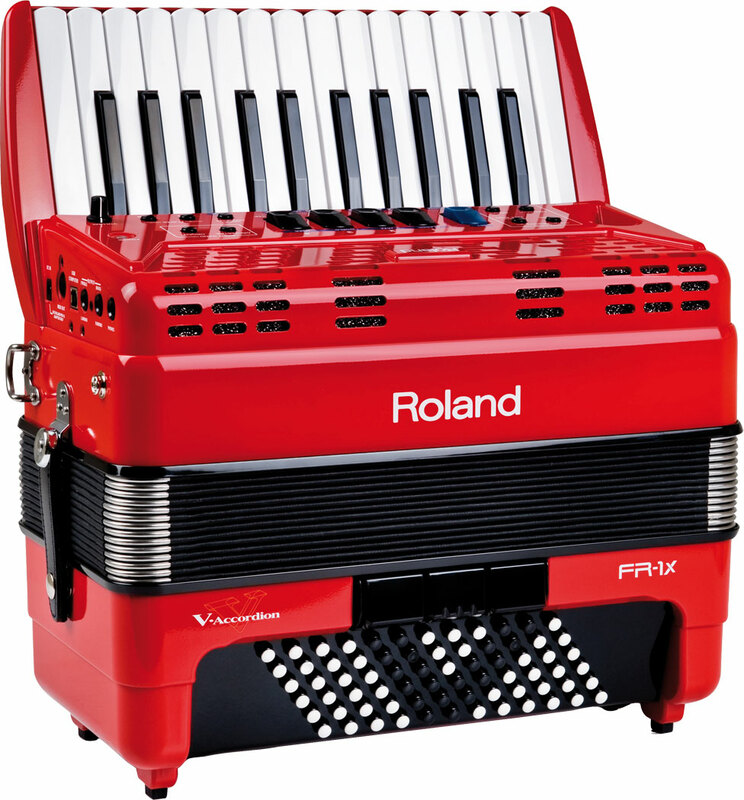 With a full range of accordion tones, the Roland FR-1X 72 Bass Compact V-Accordion also boasts a wide range of orchestral and organ voices, as well as percussion sounds. 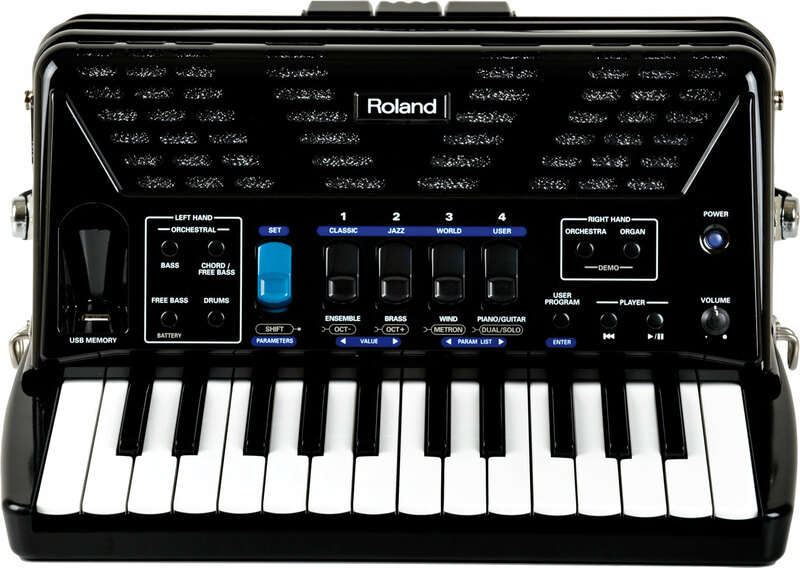 As with all Roland V Accordions, The Roland FR-1X 72 Bass Compact V-Accordion features full midi connectivity and is fitted with a built in USB port. The bellow sensitivity can be adjusted to suit all styles of playing, as can the volume and tone. 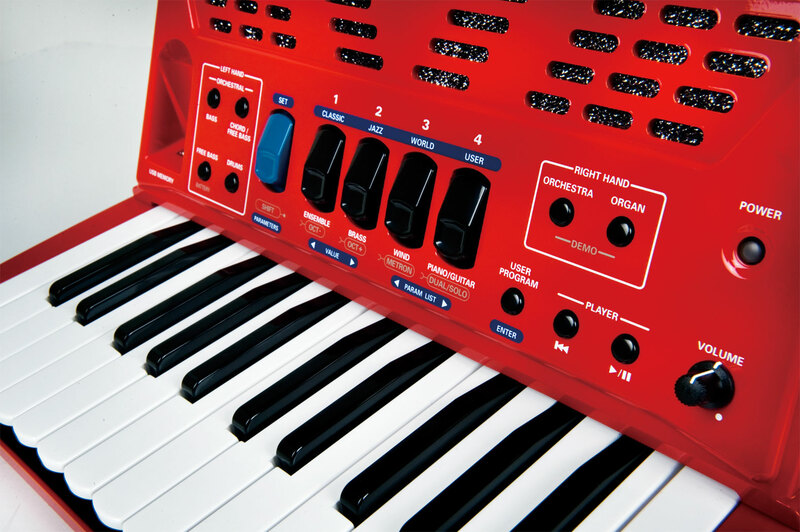 The instrument also has a wide variety of digital effects, such as reverb. 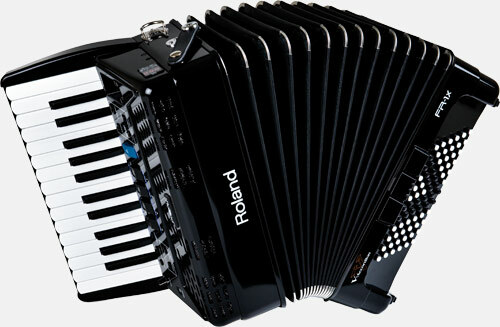 An ideal accordion for all levels of player. Complete with your choice of either a soft gig bag or a hard case, padded shoulder straps and a three year component parts guarantee. 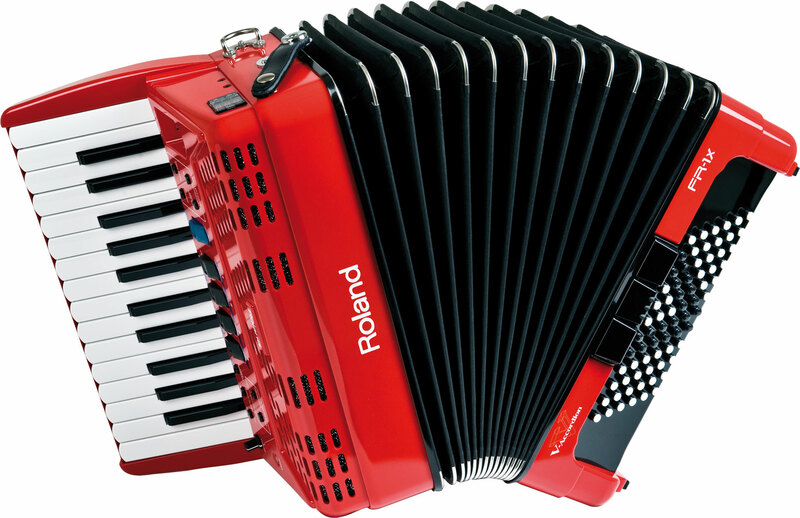 Don’t forget, free delivery of this accordion to most parts of mainland UK is included! Weight: 6.35 Kg. - 14.6 Lbs.